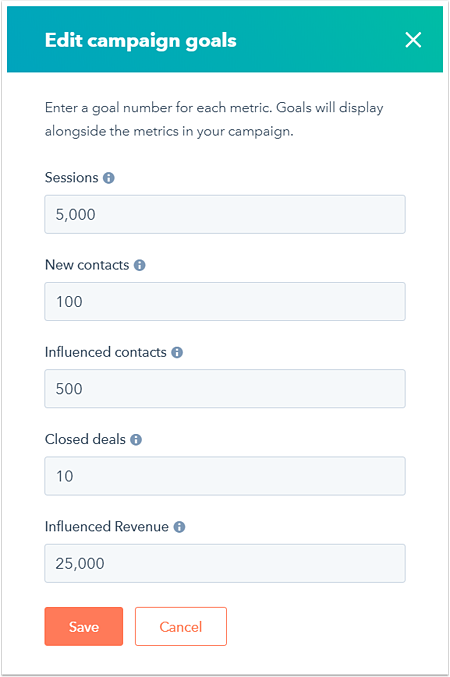 The campaigns tool in HubSpot allows you to tag related marketing assets and content, so you can easily measure the effectiveness of your collective marketing efforts. In the upper right, click Create campaign. In the dialog box, enter a Campaign name. This should be a unique campaign that other users in your HubSpot account will easily understand. Then, click Create. Please note: you can create up to 1,000 campaigns in a HubSpot account. Next, add a budget and description for the campaign. In the upper right, click the Actions dropdown menu and select Edit details. In the dialog box, enter a Budget and Notes, then click Save. Next, add goals for the campaign. In the upper right, click the Actions dropdown menu and select Edit goals. In the dialog box, enter goal numbers for Sessions, New contacts, Influenced contacts, Closed deals, and Influenced revenue. 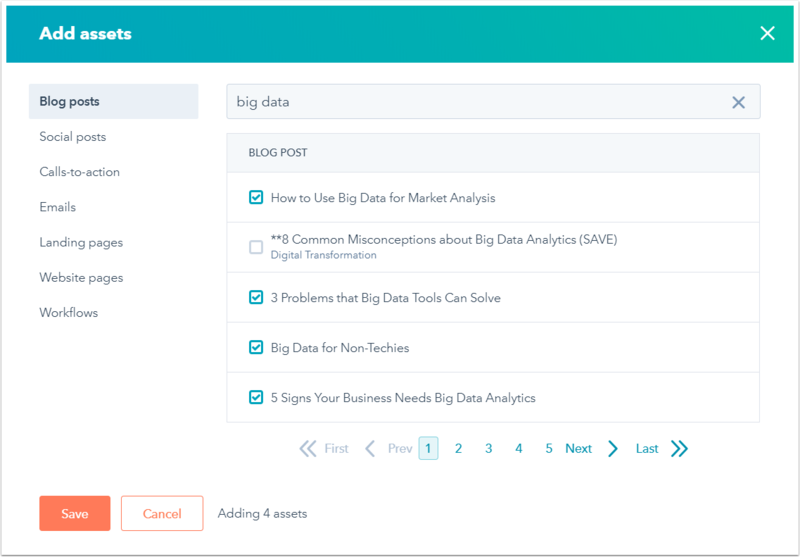 Next, you can start adding existing marketing assets and content (e.g., emails, blog posts, landing pages) to the campaign. In the upper right, click Add assets. In the dialog box, left sidebar menu, select an asset type to add to the campaign. Use the search bar to search for assets or content. 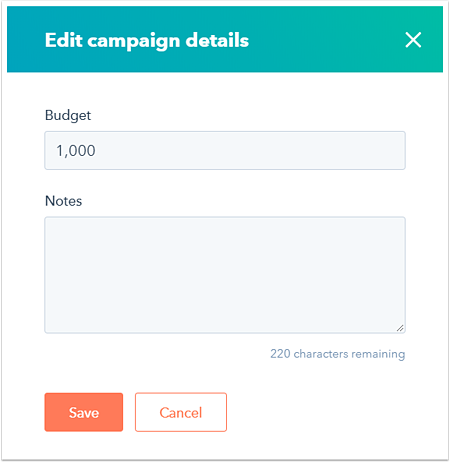 Select the checkbox next to an asset or piece of content to add it to the campaign. When you're done, click Save. Please note: adding assets or content that are already associated with another campaign to a new campaign will remove them from their current campaigns. Only workflows can be associated with multiple campaigns. Moving forward, you can also associate existing and new assets or content with the campaign from their respective tools. Learn how to analyze the performance of your HubSpot campaigns.